57 years later, the Junghans Max Bill watch collection remains a cult favorite. 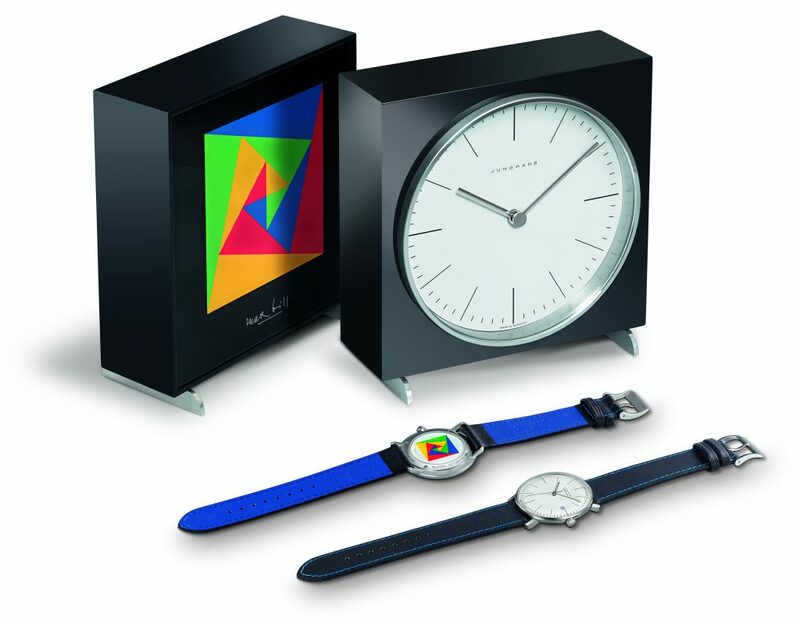 It was 1961 when the somewhat legendary multi-disciplinary artist, architect, and industrial designer Max Bill first penned a line of watches for the Black Forest-based German watch brand Junghans. A master of Bauhaus minimalism, Bill’s creations had an incredibly timeless allure that to this day make the watches perpetually desirable for those wanting a timepiece that is both unique and understated. Unlike many other collectible watches, these offerings from Junghans remain quite approachable, ranging in price from $495 for a simple quartz-powered variant to just south of $2,000 for the self-winding Chronoscope chronograph model, which is powered by a modified ETA 7750 caliber. The brand has continued to produce the line off and on through to present day, mostly unaltered, preserving the heritage of Max Bill’s work. Though they had their fair share of struggles through the years, including near-demise when their then Hong Kong-based parent company went under in 2008, things have since somewhat stabilized, with the brand now producing approximately 60,000 watches annually. 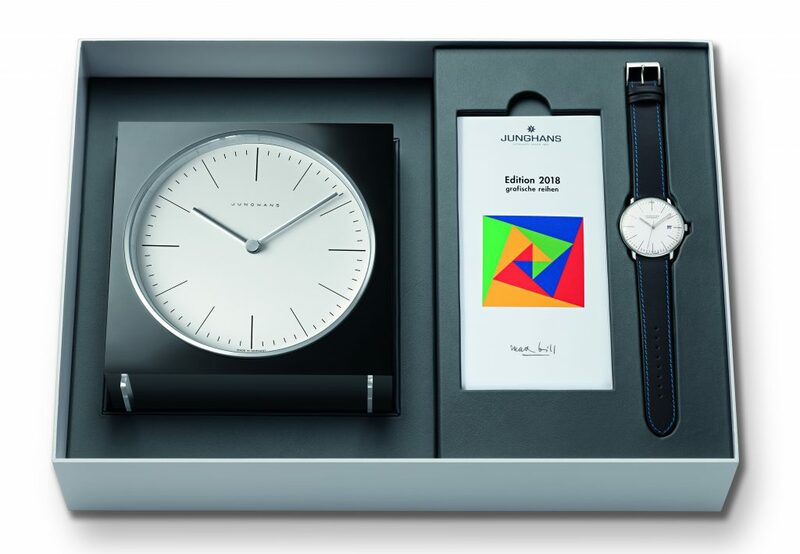 Continuing on a theme started last year, the brand has just unveiled its 2018 Edition Max Bill watch and desk clock set. Limited to 222 pieces worldwide, both the watch and clock feature a colorful graphic artwork from Max Bill on its back, in this case a piece titled “Security”. The clock is powered by a quartz caliber designed and manufactured by Junghans, whereas the wristwatch is a self-winding variant whose modified caliber is based on the ETA 2824-2. Adding further subtle differentiation from the standard-issue watch, the date disk printing as well as the backing and stitching of the watch strap is completed in a shade of blue to match the artwork of its caseback. Pricing of the set has yet to be announced at this time, though somewhere in that familiar $1-2k range is expected.